u-he’s Repro bundle contains Repro-1 and Repro-5. 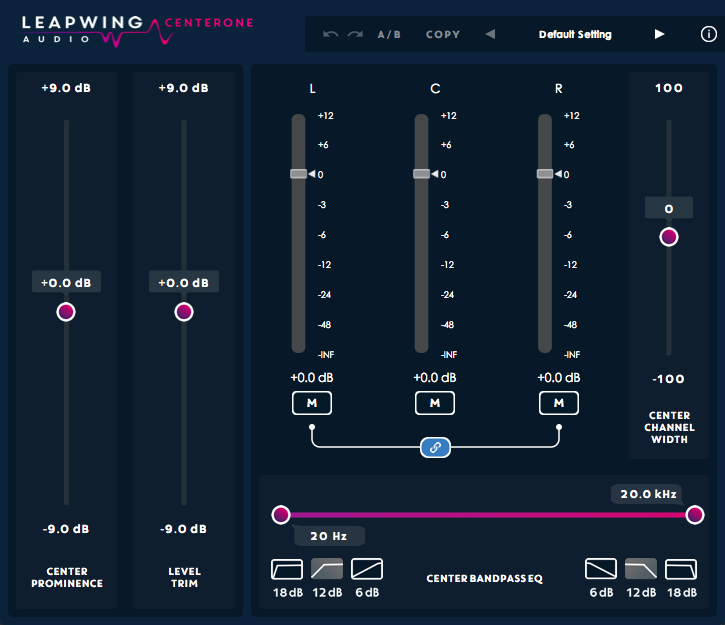 Two great virtual instruments that call upon the past for analog inspiration. 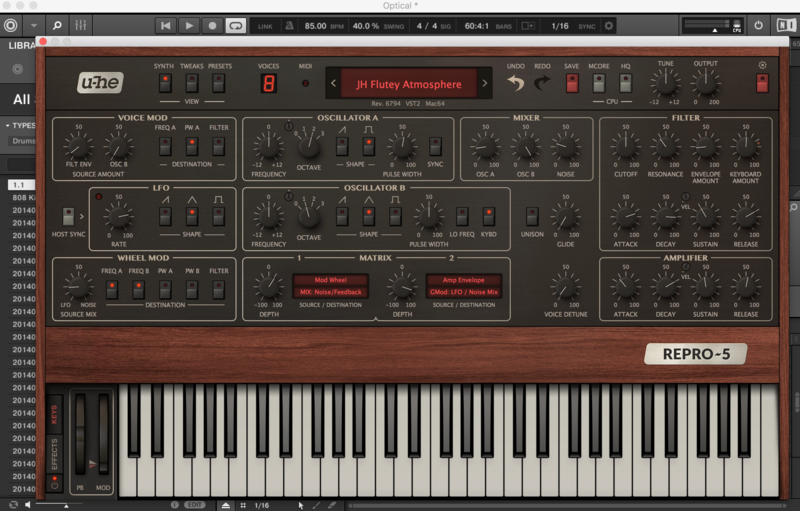 Meticulously modelling two famous synthesizers. 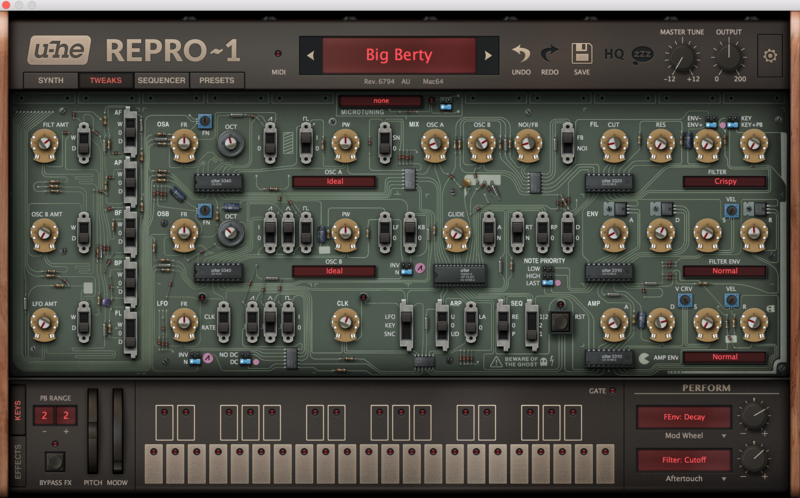 Repro-1 is a fierce monosynth: hardworking, raw sounding and immediately playable. The classic design is simple and intuitive but a deep feature set makes Repro-1 capable of a wide range of sounds. Repro-5 is the new polyphonic addition. It has a lot in common with Repro-1, a similar design and features; but, Repro-5 introduces new flavors, most notably an ability to play lush chords and big unison leads, while keeping the authentic analog sound. 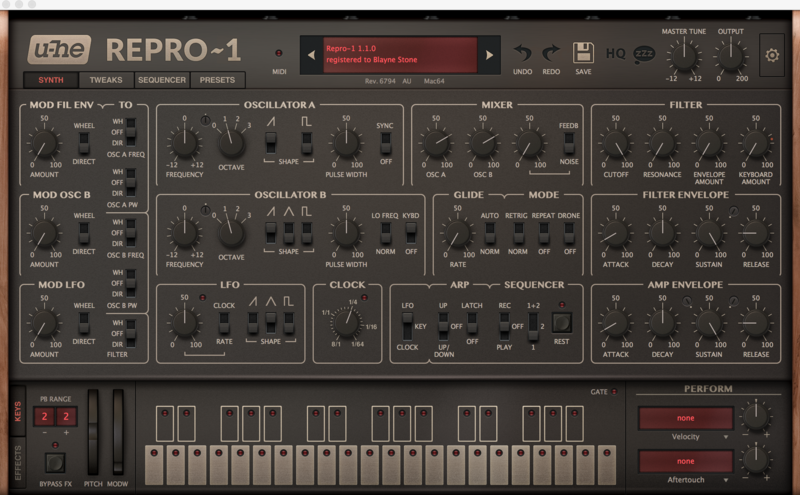 Repro-1 is modelled after Sequential Circuits’ Pro One synthesizer, a monophonic analog synth from the early 80s. 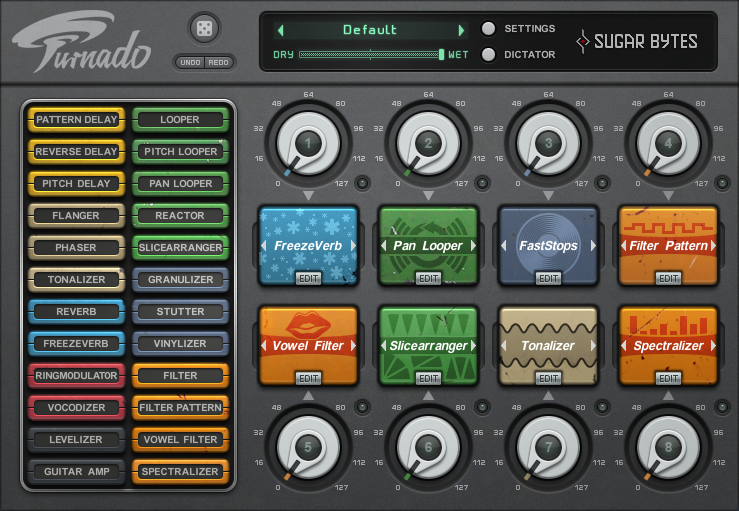 Repro-1 stays true to the authenticity of the Pro One by keeping the soul of the hardware intact whilst providing the user with the convenience and flexibility of a virtual instrument. Repro-1’s GUI is intuitive and aesthetically pleasing. 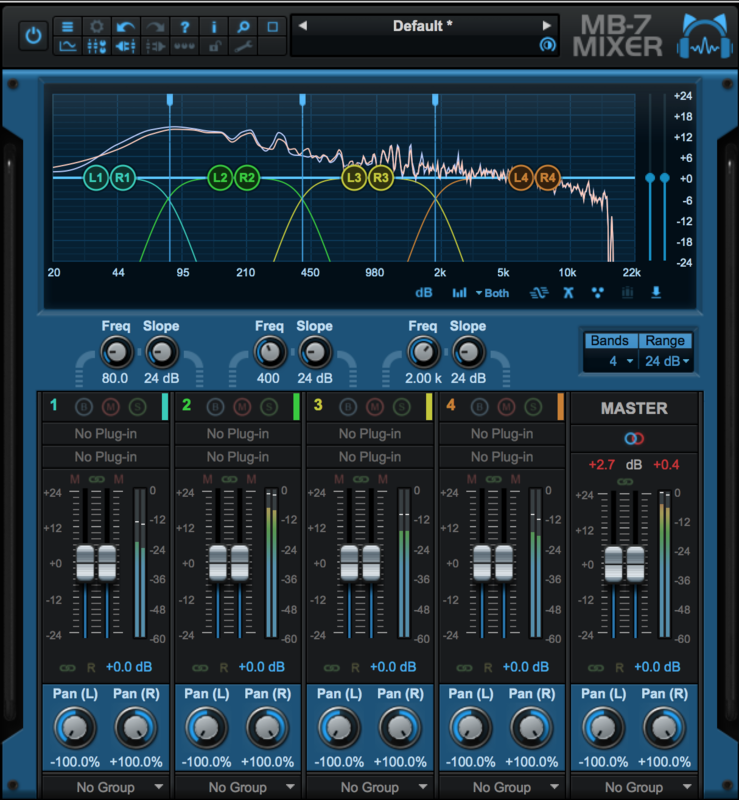 The user is able to jump right in and start creating quality sounds right away. 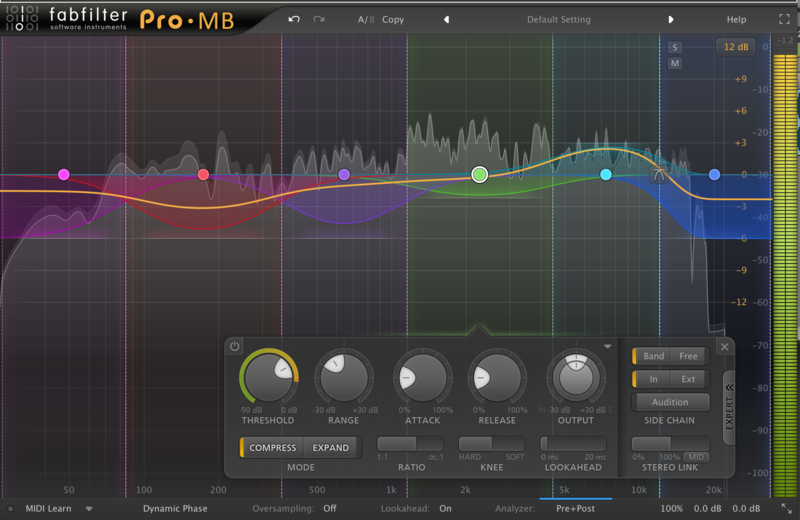 With upwards of 500 presets, Repro-1 is sure to inspire every user. Repro-1 is comprised of two monophonic oscillators and a low-pass filter accompanied by a variety of modulation sources, arpeggiator, step sequencer and incredible effect modules. 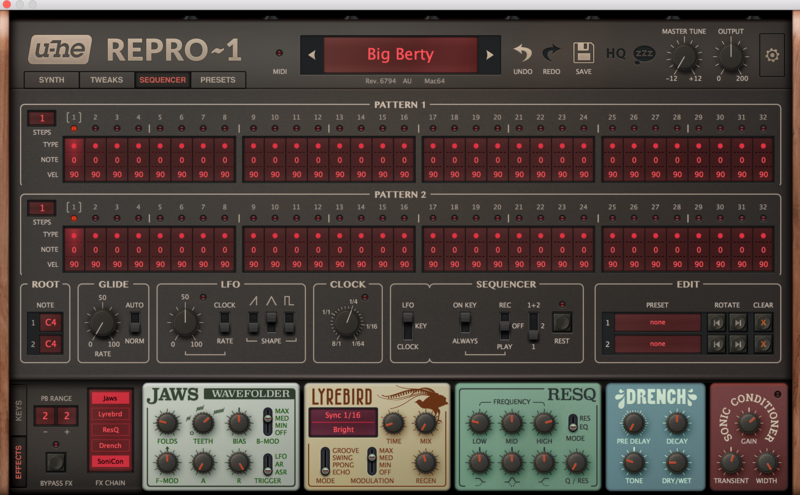 Repro-1 is great for creating quality sounding mono basses, leads, plucks, effects and drum sounds. Oscillator A outputs saw and/or pulse waves. Oscillator B generates saw, triangle and pulse waves. The outputs of the two oscillators are blended in the mixer section, along with a white noise generator or bass-boosting feedback circuit. The arpeggiator included is great for very quickly activating an arp sequence. 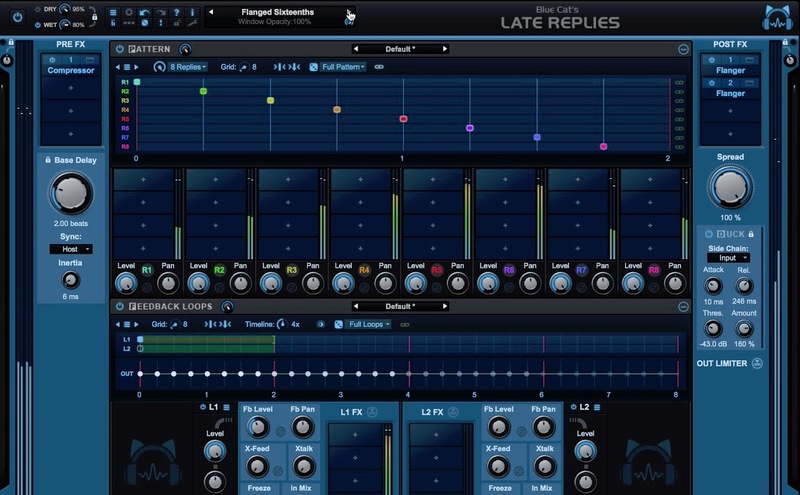 The sequencer page gives the user a much more in-depth pattern creation and features two 32-step pattern editors which can either be triggered independently or chained together for sequences of anything up to 64 steps. Sequences can be easily edited, allowing the user to control the step length and pitch, velocity and type per step. The user also has the ability to record their own steps with a MIDI keyboard when ‘step record’ is enabled. One thing that sets both the Repro-1 and Repro-5 apart from other synthesizers I have used is the ‘tweaks page.’ The ‘tweaks page’ removes the top panel of the GUI to reveal the printed circuit board allowing the user to further adjust and modulate their sound. The Oscillator and filter menus offer a handful of alternative circuits. The Amp and Filter Envelopes boast four alternative models, including a useful one-shot mode for percussion sounds. The five blue ‘jumpers’ switch the fundamental behaviors of various other parameters. 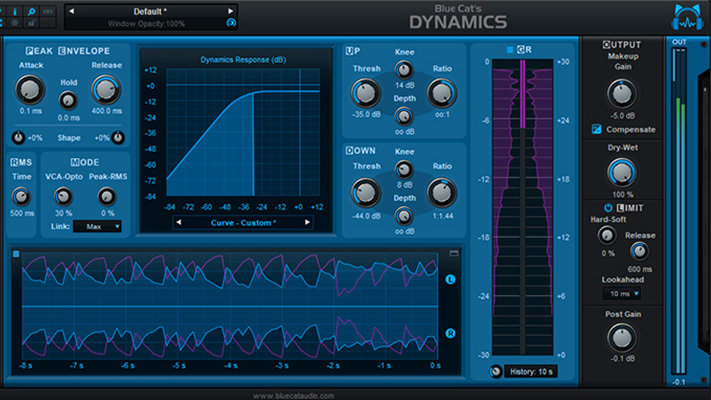 This feature captivates the eye and makes both synthesizers very fun and experimental. A synthesizer’s expressiveness depends largely on its modulation capabilities. In Repro-5, modulation is assigned in 3 different panels (VOICE MOD, WHEEL MOD and the MATRIX). VOICE MOD routes the filter envelope and/or oscillator B to three destinations. The filter envelope is started whenever a note is played. As long as the key is held down, the envelope proceeds through the ATTACK and DECAY stages, remains at the SUSTAIN level until the key is released, then drops to zero at a rate set by the RELEASE knob. The three main pages for Repro-5 are synth, tweaks and presets. The synth page has a simple and intuitive layout. Modulation parameters on the left, oscillators in the center and filter / amplifier on the right. The tweaks page is there to let you change the fundamental behavior of individual modules. 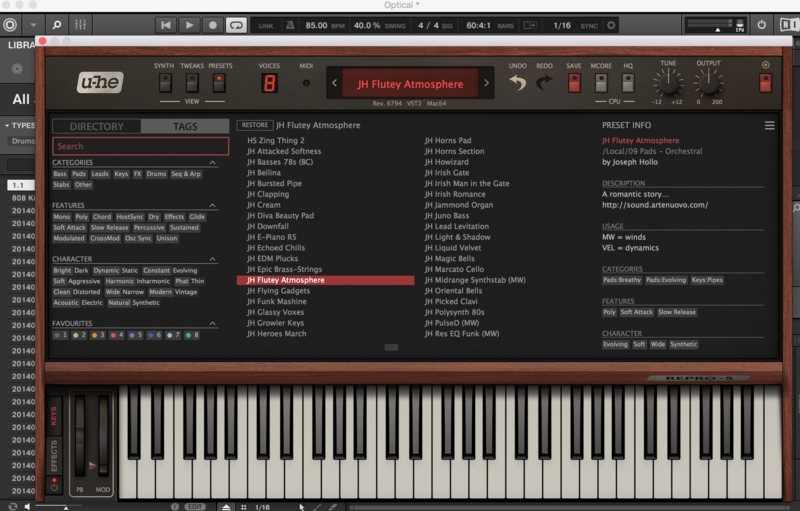 In the current version there are 10 jumpers and 6 module option selectors. The preset page is very easy to navigate and features a vast collection of very inspiring presets. A well-organized directory and detailed tags make it easy for the user to find a preset that captures the essence of what they are looking for. 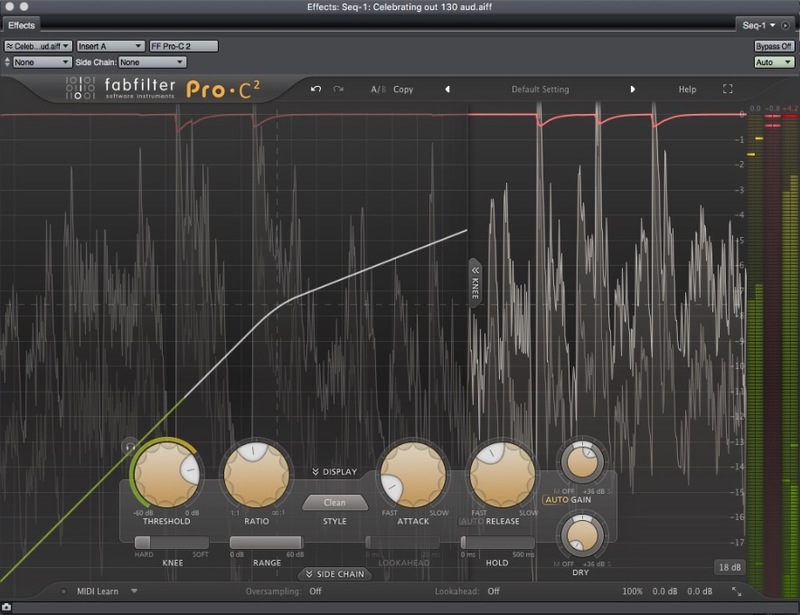 Repro-5 processes audio in chunks of n x 16 samples. This block processing method significantly reduces the CPU load and memory usage of all our plug-ins. If the number of samples to be processed is e.g. 41, Repro-5 processes the first 32 and keeps the remaining 9 in a small buffer (16 samples is large enough). The extra buffer is only necessary if either the host or audio driver processes ‘unusual’ buffer sizes. Both the Repro-1 and Repro-5 have an HQ (high quality) button. By turning this off the user can save on their CPU usage. The ‘zzz’ button, when turned on, activates sleep mode, which further the CPU friendly setting of both plug-ins. The Repro bundle is amazing. I want to begin by mentioning that I do not have experience with Sequential Circuits' Pro-One nor the Prophet 5. However, after a significant amount of research, it is safe to say that u-he kept true to the iconic analog synthesizers with regards to both the sound of the synths and the look. Both the Repro-1 and Repro-5 are very impressive plug-ins. Extremely powerful, yet, relatively light on my CPU. The factory presets sound amazing in both units. Almost each preset I tried, I found myself being inspired to create. After using both Repro-1 and Repro-5 extensively, I find myself gravitating towards the Repro-5. I believe it creates much richer sounds and holds more possibilities. I am use to polyphonic synthesizers and do not have extensive experience with monophonic synthesizers. However, Repro-1 was really good for creating thick bass and percussive sounds. 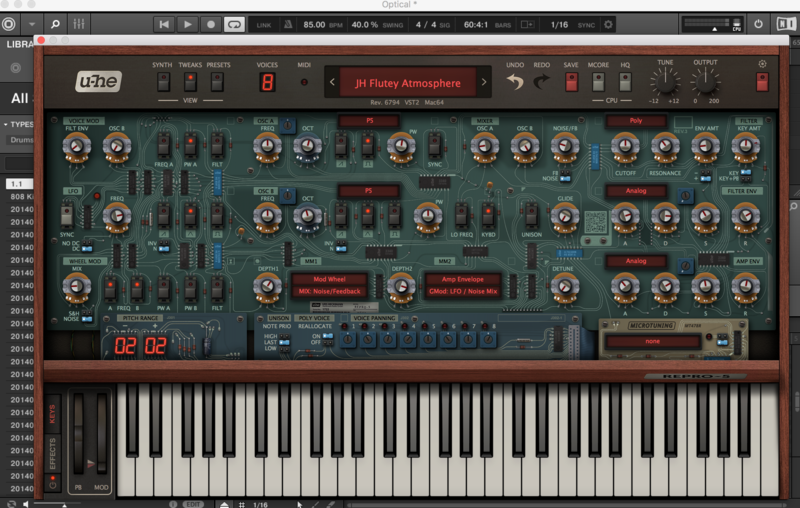 I was very happy with the similarities in the GUI between the two synthesizers. As soon as I had a good grasp with one of them I could navigate the other seamlessly. My favorite thing about both synthesizers is the 'tweaks' page. I found this to be extremely interesting. Not to mention, it gave me a better understanding of the signal path of each synthesizer. 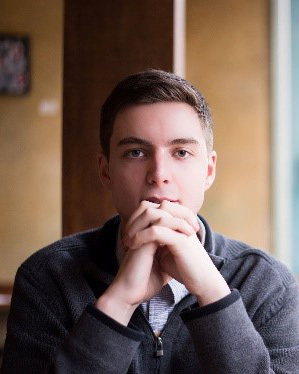 It made me feel like I had more control and more options thus enabling me to create very unique sounds. I was also impressed with the quality of the effects bank of the Repro bundle. I love how it mirrored a stomp box set-up of a guitar or bass pedal board. As a bass/guitar player I really appreciated the familiarity in the work flow the effects bank provided. Overall I was beyond impressed with the Repro bundle. The possibilities with both synthesizers are endless. It is the perfect bundle for any producer or sound designer looking for a powerful synth with an extensive list of presets and in-depth control of all parameters. I will definitely be continuing to use the Repro bundle in my future work.